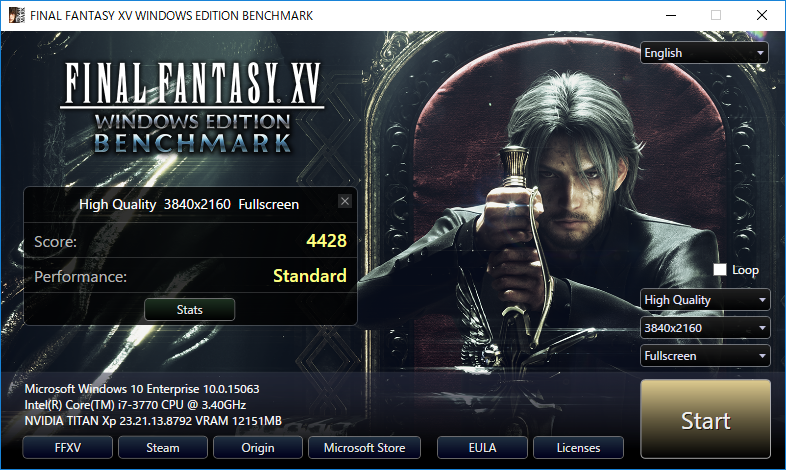 Square Enix has officially released Final Fantasy XV: Windows Edition's standalone benchmarking utility, releasing the tool alongside pre-orders for the title, which will retail for £34.99 on Steam, Origin and the Windows 10 Store. The benchmarking tool will offer resolution options of 720p, 1080p, and 4K, with Lite, Standard and High graphical quality settings. The benchmark can be run in windowed and fullscreen modes and will take approximately six and a half minutes to complete. The benchmark's High-Quality setting will feature support for several GameWorks features like HairWorks, Flow and TurfFX. This will make this mode the most demanding graphical preset by far, especially if HairWorks is as demanding as its Witcher 3 counterpart. At the end of the benchmark, users will be presented with a score, which will highlight how well the final game will perform on your system. 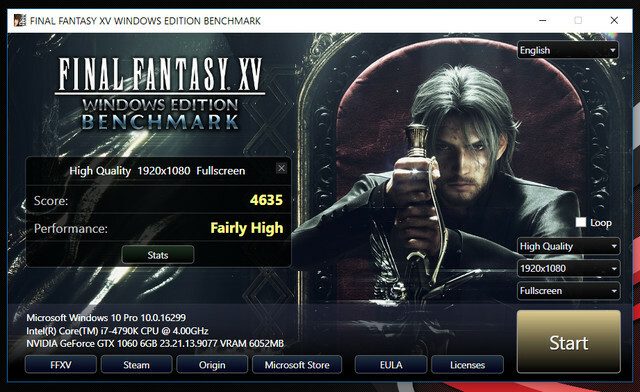 PC users can download Final Fantasy XV's dedicated benchmark mode here, with the tool offering support for both Japanese and English language modes. You can join the discussion on Final Fantasy XV's standalone benchmarking tool on the OC3D Forums. Yeah that I don't understand, 1440P is very popular on PC.